There are several reasons you may want to have a private blog. You may want to keep your blog private when you are first configuring things to avoid having people see your blog “under construction”. You may also want to create a blog that is not intended for a large audience, but rather just for family and friends. Either way, I am going to show you a simple way to password protect your blog so that only those with the password can access it. 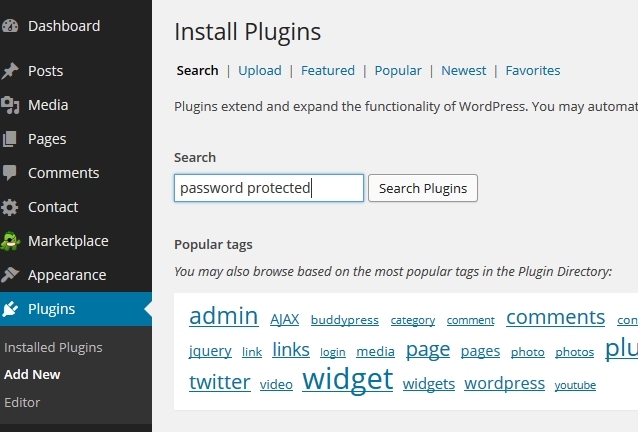 Login to your WordPress dashboard by going to http://www.yoursite.com/wp-admin (replace “yoursite.com” with your domain name. 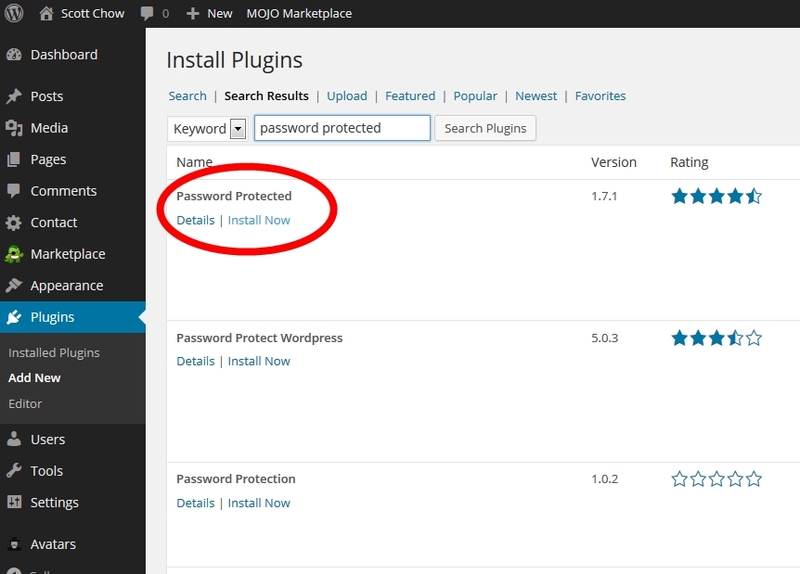 In the search results find the plugin names “Password Protected” and click “Install Now”. Click “Activate Plugin” on the next page. Navigate to “Settings ==> Password Protected”. Check the “Enabled” box and enter in a new password. Click “Save Changes”. 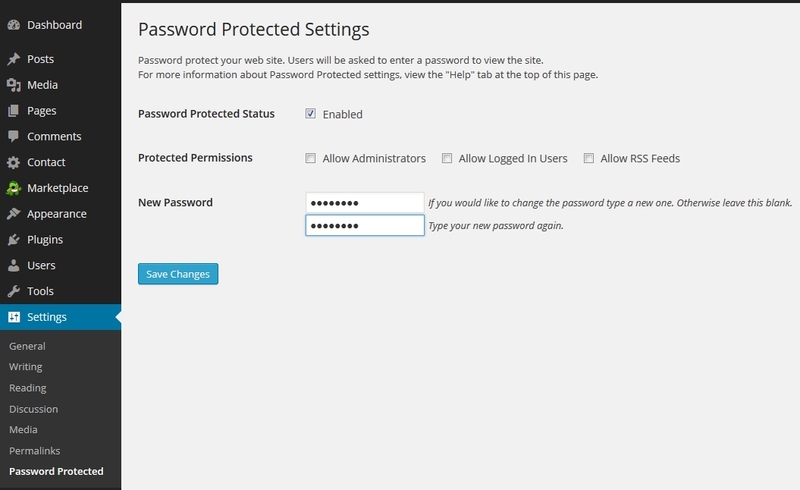 Now anyone who tries to access your blog will be prompted to enter the password in order to view your blog. Please note: This method does not password-protect image or uploaded files, but someone would have to know the exact URL of the image in order to access it. The primary way someone would learn the exact URL of an image on your blog is through search engines. Because of this, it is a good idea to navigate to “Settings ==> Reading” and check the box that says “Discourage search engines from indexing this site” then click “Save Changes”. 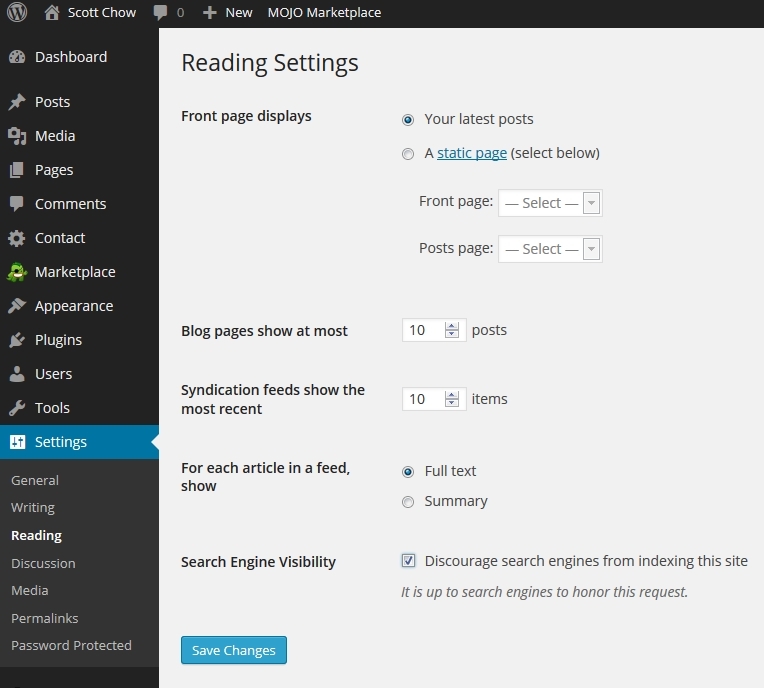 This will help to prevent your blog from appearing in search engine results.